Welcome to BMW of Peoria, located at 1720 W. Pioneer Pkwy., Peoria, IL 61615. We are family-owned and have been serving Central Illinois for over 44 years. We have access to virtually every make and model of car, truck, and SUV! BMW of Peoria is a premier new and used BMW dealership serving Peoria, Bloomington, Pekin, East Peoria and Bellevue, IL, and there is a reason why. We sell top-quality automobiles and provide unmatched service. Our helpful and experienced staff will answer your questions, help you find the right new 2018 BMW car or Certified Used BMW in Peoria, IL and can assist with car loans and leases. So if you’re looking for a new or used luxury car or sports car in Illinois, stop into BMW of Peoria and let’s get you into the car of your dreams! Have questions to ask first? Call us at (309) 316-0835. Looking for a used car in Peoria, IL that exceeds your expectations? 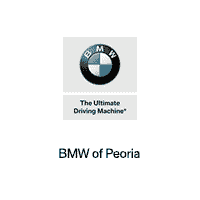 BMW of Peoria will find you the perfect well maintained used car. With a huge inventory of the highest quality vehicles, we are certain that we can locate a used car that suits your taste. Browse our pre-owned cars for sale near Pekin, East Peoria, Bloomington, and Bellevue, IL for a used BMW in Peoria, IL. If you have not been able to locate a specific new or used car in Peoria, IL we are at your assistance. Complete our no-obligation Contact Us form and we will notify you when the vehicle arrives at our dealership. The finance staff at BMW of Peoria will get you a low-interest car loan in Peoria, IL. By working with a network of lenders we make our customer’s dreams of owning a BMW a reality. Start the process of getting car financing, hassle free, by filling out our secure online car loan & lease application. BMW of Peoria is also your luxury car repair center in Peoria, IL. If you need BMW repair or general auto service, let our highly skilled technicians diagnose and repair your BMW model. Fill out our service appointment form and we will get your luxury car or SUV into our service facility as soon as possible. Our BMW car parts department has the certified component you need to repair your vehicle. Whether you need brakes, mufflers or the latest air intake, our BMW car part staff will get you what you need. For added convenience, you can complete our parts form and order your BMW parts online, and if your car has been in an accident, contact our Peoria body shop and collision center. The entire staff at our Peoria, IL, BMW dealership would like to thank you for your interest in us. Please contact us anytime by phone at (309) 316-0835, email or visit us in person. We’re located at 1720 W. Pioneer Pkwy. in Peoria, IL. You can find directions to our dealership from Pekin, East Peoria, Bloomington, and Bellevue, IL by clicking Contact Us. We look forward to your visit!